Mount Abu is famed as hill station of Rajasthan amidst by the mountain range named as Arravali and highest peak of Mount Abu which is popular destination among tourist is Guru Shikhar. 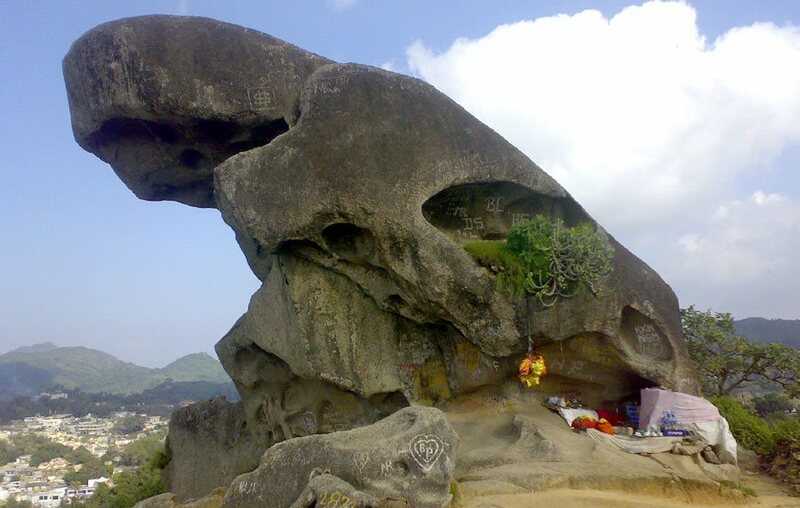 Ancient name of Mount Abu was “Arbudaanchal”. Mount Abu is pointed in the Sirohi district of western Rajasthan and shares the land boundaries with Gujarat. Entire Mount Abu is fascinates the travellers as it is a complete package which showcases all colours of nature that is one can enjoy everything from mountains to waterfalls, from lakes and rivers to evergreen forests. Summers are hot and mercury reaches the level 36 degrees Celsius on an average but height is an advantage to this place so weather is chilled out during Monsoons and waterfalls looks astonishing. Winters are cool and temperature fall to -2 to -3 degrees Celsius. So favourable conditions to visit Mount Abu is in Monsoon. Dilwara Temples: Magnificiently designed and architecture of the temples is just awesome which attract the tourists. It is a Jain Temple. Honeymoon Point: It is a lookout point from where one can watch the entire Mount Abu and on the backside Nakki lake is there. It is popular for its sunrise and Love Rock. Guru Shikhar: Highest point of the aravali range and a peak on arbudha mountain. It attracts travellers as it have two destination i.e Guru shikhar and sacred Arbudha Devi Temple on peak and you have to cover 365 stairs to reach there. Other sightscenes includes Swaminarayan Temple, Raghunathn Temple, Nakki Lake Garden, World spiritual Museum. As Mount Abu is located in Rajasthan and on the borders of Gujarat so here food is a blend of both Rajasthani and Gujarati dishes. Street food is very famous and it is quite spicy. Dal bati churma of Rajasthan can be easily available there and some of the famous dining places includes Sher-E Punjab, Mukberry Tree Restaurant, Arbuda Restaurant, Saraswati Dining and Jaipur Palace. By Air: On regular basis you can get flight from Dabok Airport which is 104 km away and is in Udaipur which is also very famous destination for tourists. Another airport is in Ahmedabad which is 173 km away from Mt. Abu. By Bus: Mt. Abu is very well connected by every city and you can easily get bus on regular basis. By Rail: There are no trains to Mt. Abu on regular basis so it is suggested that plan your trip and book your tickets or take bus, flight or cab. Nearest railway station is Morthala 14 Km away and Abu Road railway station is also 14 km away.